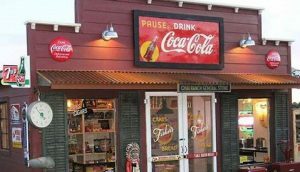 Proudly serving our community for over 50 years! 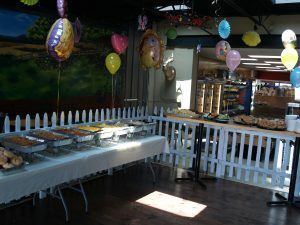 At Kornfeind’s Market, we specialize in catering your event and want to make it easy for you. We have three programs to select from in terms of menus. 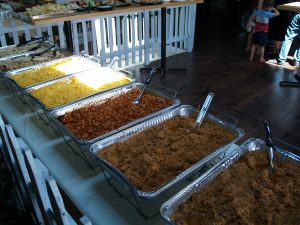 We offer a Full Catering Menu, our “Preset Party Menu” and when that day arrives, our Funeral Catering Menu. Our catering specialists focus on making sure your event runs smooth. Our indoor Patio seats up to 50 and is perfect for your holiday party (work or family), birthday parties, bridal parties, or christenings and more! Call now to reserve your date (610-262-7980)! 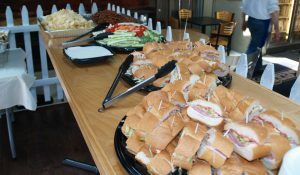 At Kornfeind’s, we offer a full list of catering options for your parties. The full catering menu allows for you to customize the food selections to meet your needs. To view the full menu, please click here. Not sure what to order for your party? We have prepared a number of options based on our experiences with our customers to make your planning run smooth. To view the options, please click here. (NOTE: MINIMUM SIZE PARTY IS 40 PEOPLE). Let kornfeind’s catering take care of your reception and give you more time with your family. We have a number of options available and are always able to customize a menu for your needs. For more information or to speak to our Funeral Catering specialist, please give us a call at 610-262-7980. 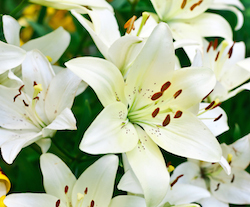 To view our Funeral Catering options, please click here. Our Porch is available for use for your special event. Perfect for birthday parties, an office party, holiday party, meeting for your group or company. Whatever the need, we can help put together the perfect day. For information and availability, please give us a call at 610-262-7980. CANCELLED! April 28 Paint Party! Our flagship store is located just west of MacArthur Road / Route 145 along Route 329 in Egypt, Pennsylvania. Join us on the Porch (indoor and/or outdoor). Enjoy a hoagie, beer/wine. Our Porch is open year round! We have free WiFi too!